After KPU announced it will not be taking in any new music program students next school year, students are standing up and challenging the administration's decision. In the empty auditorium at Kwantlen Polytechnic University's Langley campus nothing can be heard but the sounds of Emma Dotto's voice echoing through the space. 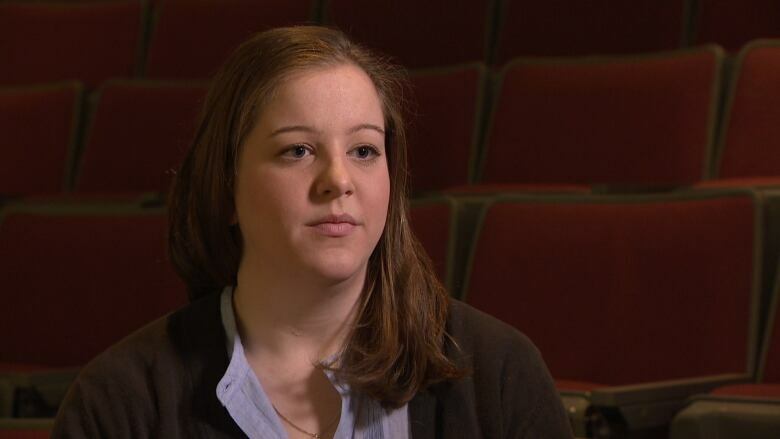 Her voice is her instrument and it's one that's been given the chance to flourish and grow over her three years in the music program at the university. The university administration says it will not be opening its doors to new music program students for the 2019/2020 school year. "By advocating for this university so much, I was embarrassed to have, you know, been saying such good things when they turn around and kind of betray us in a way like this," Dotto said. Salvador Ferreras is the provost and vice president, academic at the university and he says, as a musician himself, it wasn't an easy decision to make. 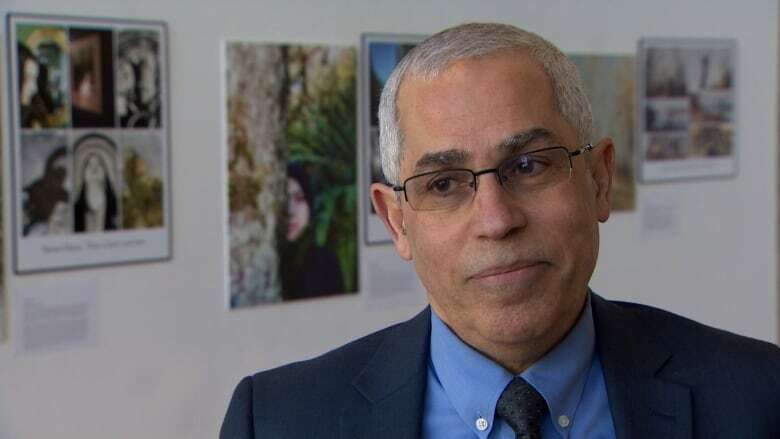 "KPU's budget for 2019-20 is projected to be larger than this year's, but with the university's expenditures increasing faster than its revenue, there was a forecast gap of about $12 million which we needed to close to deliver a balanced budget, as required by legislation," Ferreras said. He says in order to avoid a deficit, some things have to give and the way the music program currently runs is not sustainable. Ferreras hopes a review of the program, scheduled for the next school year, will help change that. He says the work is necessary to identify areas where the music program can be improved and where money can be better spent. 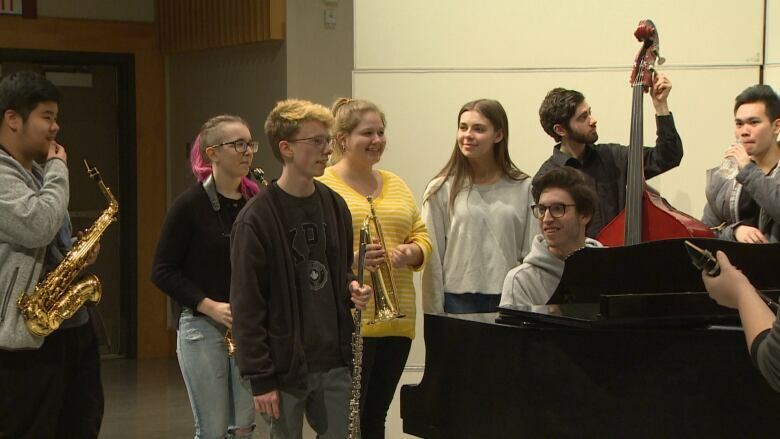 ​Meanwhile, students like Dotto say while a review takes place, the music program is going to take big hits and begin to lose the reputation it has worked so hard to build for over 25 years. Right now, she says the program is full and so popular it's hard to even get placement in some courses. But, come next year, she says, the graduation of one class and no new students coming in will mean less students to fill a full music ensemble, less students to bring new talent to the program and less of an inclination for new students to join the program, if and when it opens its doors again. Ferreras says ensembles don't always have first year students and they will still be able to function without a new class. He says he understands the cutback on intakes for next year will inevitably lead to cuts in courses and jobs as well. Music students say they intend to continue writing letters and requesting meetings with the president and vice president of the university in an effort to inspire some change to their decision.